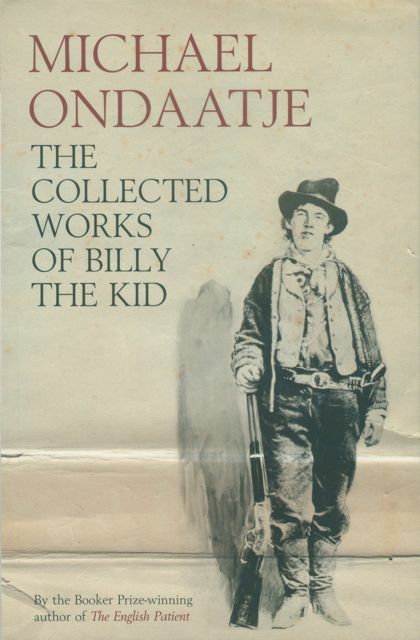 Michael Ondaatje’s The Collected Works of Billy the Kid is not really a novel and not really a volume of poetry either. It’s less than a hundred pages long and most of those consist of only a few lines of text. There are a lot of blank spaces, or perhaps a lot of blank space, open space, breathing space. 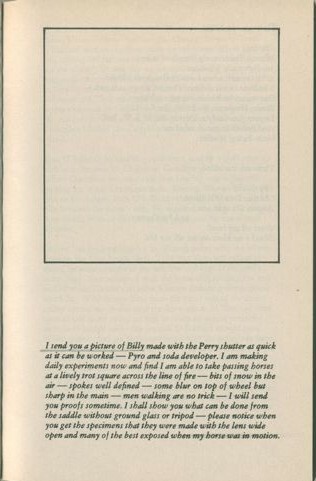 Text is sometimes printed at the top of a page, sometimes at the bottom. It leaves you room to create your own image of Billy. The book makes two important points about novels or perhaps about storytelling. The first is that if you choose your words carefully, you don’t always need all that many words to tell a story, to create a character or two or more, to create a landscape in which they can move about and develop a storyline running over a substantial time lapse. The second point it makes is to remind us how bloated, how overweight many novels are, filled with unnecessaries. There doesn’t seem to be a narrator here: everything is quotation, almost. There is little that is not necessary; anything excessive seems to have been cut out. As such, it’s a strange work, somewhere between a collection of poems and a novel, perhaps not ‘poetic’ enough to be considered poetry (through its subject matter or its language? ), and perhaps too fragmented, too shattered to make up a novel in the strict sense. The book is easy enough to read as a series of fragments, but piecing them together to create a kind of overall picture is a bit more demanding. It’s appropriate then that Billy the Kid should include various pictures: a few photographs, some drawings and illustrations. These too are fragments that stand on their own and that need to be worked into a broader picture by the reader. Obviously, you then wonder why the publisher decided to include the photograph on the front cover (the original edition, published by House of Anansi in 1970, featured a photograph by Eadweard Muybridge of a man on a horse). This entry was posted in Michael Ondaatje, Novels with pictures in them, Picture novels and tagged Billy the Kid, Michael Ondaatje, novels with pictures. Bookmark the permalink.